Boult got the wickets Fakhar Zaman, Babar Azam and Mohammad Hafeez. 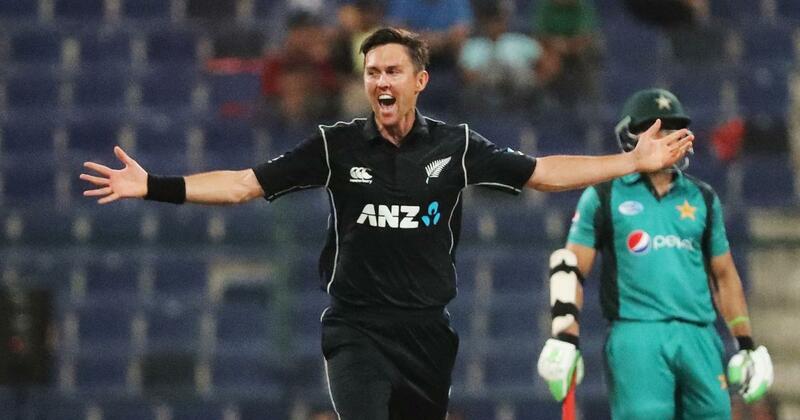 Trent Boult, on Wednesday, became the third New Zealand bowler to take an ODI hat-trick in a match as he stunned the Pakistan top-order in Aby Dhabi. Boult, in the first of the three-match ODI series against Pakistan, got the wickets Fakhar Zaman, Babar Azam and Mohammad Hafeez in three consecutive deliveries to register the year’s third hat-trick. South Africa’s Imran Tahir (against Zimbabwe) and Sri Lanka’s Shehan Madushanka (against Bangladesh) are the other two bowlers with a hat-trick this year. 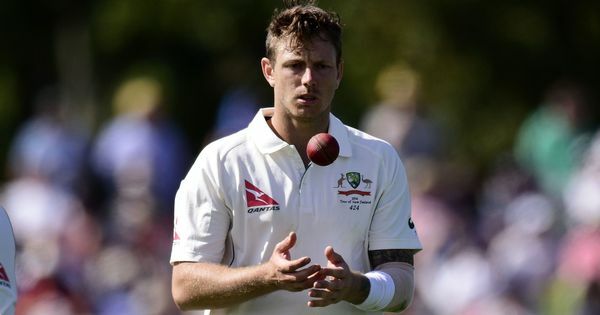 Pakistan, in pursuit of New Zealand’s 266/9, in the third over, lost Zaman, whose wickets were shattered by an incoming Boult delivery. Boult, in the following delivery, managed to get the edge of Azam’s bat with a full-length ball. Ross Taylor, stationed in a wide slip position, completed the catch. Hafeez, then, missed another full-length delivery, that pitched on middle and leg and struck his pads, getting out LBW. Danny Morrison was the first Kiwi bowler to take an ODI hat-trick. He did it against India in 1994. Shane Bond clinched New Zealand’s second hat-trick in 2007 against Australia.